We live in a world that demands an incredible amount of specialization from its blue-and-white-collar working classes. Gone are the renaissance men and women of our parents’ and grandparents’ generations, those talented individuals who knew how to build a house, survive outdoors for long periods of time with few supplies, fix a radio or a car, write a scathing letter to the editor without making any grammatical errors, etc. etc. I’m sure these people still exist, but their time is nearing an end. The collected knowledge base of humanity continues to increase, but most general knowledge is available at the speed of your smart phone. What is required from a middle-class citizen in the workplace now is specialization; that is to say, the ability to repeatedly perform a task that requires a great deal of training and specific knowledge. In the corporate world where very few are still self-employed, very few are required to know more than their own job…and sometimes the jobs of others, if they want to get promoted. Just imagine how much you need to know to be a farmer, or a Navy SEAL. Sure, it takes a lot of brains and knowledge to be a computer programmer, for example, but none of a computer programmer’s skills have to do with human survival. We have built a comfortable world (at least, in this country) that takes care of our basic needs for us. We don’t have to know how to survive in the wilderness. We don’t have to catch our own food and often we don’t even prepare it ourselves. We don’t have to know how to light a fire; electricity and natural gas can keep us warm. How much are we going to know about basic human survival a few generations down the road? Will a person in the future become so specialized at what they do, and so reliant on technology that they wouldn’t even know how to feed themselves without the assistance of machines? What would happen to a person like that if they were thrust suddenly into a survival situation? A cynic would argue that they would die pretty quickly…but I thought it would be more fun to find out what would happen if they had just a little bit of help…enough to help them cope, but perhaps not enough to adapt. That was the premise under which I started writing ‘The Zone’. Two other ideas helped shape the story, and I have to give credit where it is due, because neither of the ideas are truly mine. I’m still working out all the science parts, but in a world where space-going vessels can cheat the logistical problems of light-years’ worth of distance, a planet that can hold an atmosphere and has both a hot and a cold side isn’t too far-fetched. 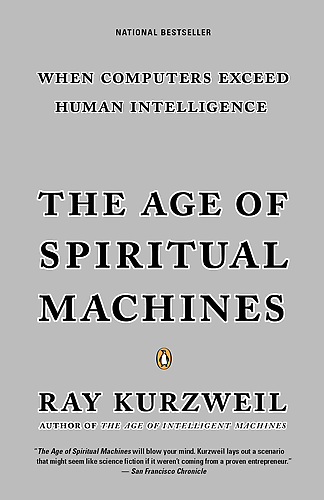 My third idea came from Ray Kurzweil, who wrote, among his other futurist books, ‘The Age of Spiritual Machines’. 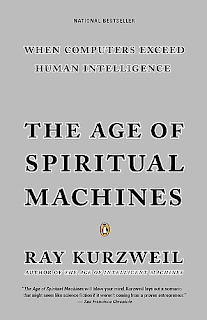 Among his theories, Kurzweil presented some interesting notions about how humans would access information in the future. What if we could interact with a global network of people and information without the use of an external device? Yes, I know it’s an idea that’s been done before…but what happens when a person is suddenly deprived from that network, a thing that they rely on for all their information and even social interaction?